Ford Hermann Hueffer, the son of Francis Hueffer, the music critic of The Times, was born in 1873. He was also the grandson of the artist, Ford Madox Brown. Hueffer published his first book, The Brown Owl (1891), when he was only eighteen. This was followed by the novel, The Shifting of Fire (1892). In 1894 Hueffer eloped with and married Elsie Martindale. He met Joseph Conrad and together they co-authored several works including The Inheritors (1901) and Romance (1903). His most successful books during this period was the trilogy, The Fifth Queen (1906), the story of Catherine Howard. In 1908 Hueffer founded the English Review and over the next 15 months he published the work of Thomas Hardy, H. G. Wells, D. H. Lawrence and Wyndham Lewis. Huseffer's support of modernism did much to shape the course of 20th century writing. In June 1914, Hueffer's published the first part of his novel, The Saddest Story, in Blast Magazine. The full version, retitled, The Good Soldier, A Tale of Passion, appeared in 1915, and is now considered to be the most important of the 80 books that he produced during his lifetime. Soon after the outbreak of the First World War, Hueffer was recruited by Charles Masterman, the head of Britain's War Propaganda Bureau (WPB), to write pamphlets that would help shape public opinion. Hueffer, embarrassed by his German name and heritage, was the most passionate of all the writers that worked for the WPB. Hueffer's first contribution, When Blood is Their Argument, was an attack on German literature, art and music. In the pamphlet Ford claimed that the German education system had spread the "rot of Prussian culture throughout he world". Hueffer followed this with Between St. Dennis and St. George, a reply to Common Sense about the War, a pamphlet written by George Bernard Shaw that had been highly critical of Sir Edward Grey and the government's foreign policy. Hueffer also took the opportunity to attack Britain's pacifist intellectuals, such as H. N. Brailsford, Fenner Brockway, Norman Angell and Bertrand Russell, In the pamphlet Hueffer described these men as "pro-Prussian apologists". In 1916 Hueffer abandoned his career as a propagandist and joined the British Army. He was sent to France in July 1916 as a junior officer in the 38th Infantry Brigade. Hueffer served in the transport division and therefore never involved in trench warfare. However, his experiences with the dead and dying in the military hospitals made him question the role he had played in persuading so many men to join the armed forces. Especially when he discovered that the incompetence of Britain's military leaders was causing the unnecessary deaths of large numbers of soldiers. .
At Mametz Wood, where the 38th Infantry Brigade suffered heavy casualties during the Battle of the Somme, Hueffer was knocked unconscious by a nearby exploding shell and suffered concussion. Hueffer blamed General Henry Rawlinson for the disaster at Mametz Wood and deeply upset by the loss of so many comrades, was later to write: "I don't think that many of those who were one's comrades did not at times feel a certain hopelessness. And so they would sit in the chairs of the lost and forgotten. You will say this is bitter. It Is. It was bitter to have seen the 38th Division murdered in Mametz Wood - and to guess what underlay that." 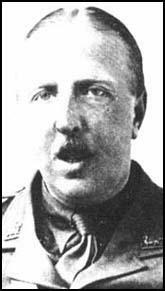 In 1919 Hueffer changed his name to Ford Madox Ford. Three years later he moved to Paris where he founded the Transatlantic Review. Over the next year Ford published the work of several important new writers including James Joyce and E. E. Cummings. In the 1930s Ford published two volumes of autobiography, Return to Yesterday (1931) and It was the Nightingale (1933). 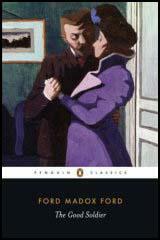 Ford Madox Ford died in 1939. I wish Germany did not exist, and I hope that it it will not exist much longer. Burke said that you cannot indict a whole nation. But you can. I don't think that many of those who were one's comrades did not at times feel a certain hopelessness. And so they would sit in the chairs of the lost and forgotten. You will say this is bitter. It Is. It was bitter to have seen the 38th Division murdered in Mametz Wood - and to guess what underlay that.